Wuhu Deals used to be known as Unilever Deals as it is their products on offer. The app has two ways to reward you. Either with a cash discount at the till or you can earn points towards airtime, shopping, movies, as well as restaurants and takeout. Just over a year ago I made my videohttps://www.youtube.com/watch?v=L_t29kGtYj4, at that time Wuhu was only available as a website, now it is available as an app on your phone. Each month deals are loaded onto the app. These can be used at PicknPay, Dischem, Checkers, Shoprite and Spar. A word of caution though.PicknPay and Dischem are usually the only place I find that have the deals in stock! Download the app and create an account. Your account is linked to your cellphone number. Choose your store. Deals from different stores can be booked at the same time. On the app it seems that you can only book point deals, while on the computer I was able to book both cash discount and point deals. Most deals allow 4 items, so what I try to do is book two points deals and two cash reward deals. Once the deals have been chosen, it is time to check out. Go to the tab marked ‘my basket’. At the top is a button that says ‘get deals code’, click on this. The code will sometimes be sent as an sms and other times it will just go directly to the message box in the app. It is much easier to use the app at Spar, when they have stock, than at PicknPay. At Spar you tell them you have a coupon and give them your phone number. PicknPay is a whole other board game! Firstly you need to make sure your cashier actually knows how to use it. They often say they do and then you land up waiting for a supervisor to come fix the mess. Ask for a supervisor even before you start unpacking your shopping! Sometimes there is even more of a discount as some products are discounted on the shelves too! Make sure that the size of the product you put in your trolley is the size to which the discount applies. I have used my Wuhu deals to bulk buy my tea, my washing powder and even some toiletries. 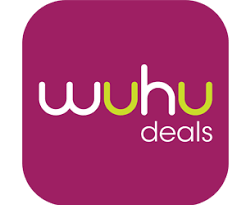 Have you ever used Wuhu deals? What is your experience? This article is my own opinion and not a paid review. Hey, I found that you can still load cash deals on app – you swipe the points deals to the left and then the usual cash deal shows.